Whipstitched detailing lends a touch of vintage-Western charm to a versatile peep-toe sandal styled with a bootie profile and lofty demi-block heel. 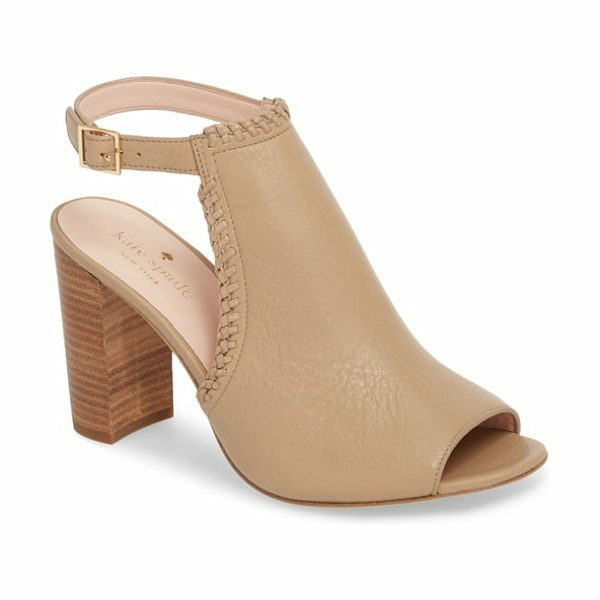 Style Name: Kate Spade New York Orelene Block Heel Sandal (Women). Style Number: 5605683. Available in stores.